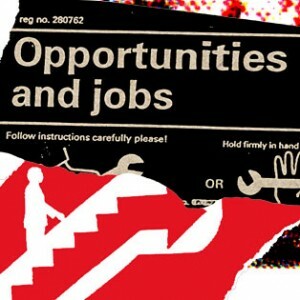 The nature of work has been changed by the mobile phone. This is an undisputable fact. It’s also a fact that organizations and enterprises have not always coped well with this revolution. The early stages of mobility in the workplace were fairly simple: A couple top executives had private cellphones with numbers that only the most important people could reach. The wall between the C-suite and the rest of enterprises began to erode with the rise of the BlackBerry, as mobile email became pervasive through the entire corporate structure. But we’re still waiting for the next step. What is that next step? Look no further than what technologists refer to as SoMoClo (social, mobile, cloud, or the dreadful “mocial”). While enterprises may have been the first to push and adopt the cloud, consumers have done likewise with the rise of social computing. And everybody is mobile. The infographic below shows “three generations” of mobile phones in the workplace and ponders what could come next. The first generation is fairly simple. BlackBerries in the workplace dominated from about 1999 (from the CEO’s office) until 2007 (when the original iPhone was released). In 2012, BlackBerries are no longer the de facto phone you find in office settings, and not many people still carry two cellphones in their bags, one for work, one for personal use. The norm now is one phone – and it can do just about everything. That includes getting in touch with everybody you might know at any time. On a cellphone these days, work contacts mingle with private contacts. You might have Mork (your favorite sales rep) listed on your contacts list next to Mindy (your stepmother). Twitter lets people broadcast thoughts and connect with people everywhere. Facebook, often the bane of the enterprise, is one of the biggest ways to connect with friends, family and co-workers (and share embarrassing photos of them). The sender may not have meant to share private company data for the world to see, but we all know instances where that happens. The infographic indicates that 1% of workers have posted some type of confidential business material. That may not seem like a lot, but imagine if a prescription medication gave 1% of everyone who took it a stroke. The Food and Drug Administration would pull it off the shelves in a heartbeat, and the lawyers would have a field day. The infographic – from Salesforce Rypple – predicts a third generation to follow today’s consumer-centric mobile workplace, and is a good way to start a dialogue about how social mobility will progress in the enterprise. But it concentrates on services like Rypple, Chatter and Jive, (the former two owned by Salesforce with Jive one of the company’s partner services) which makes it a bit self-serving. There are plenty of other enterprise social clients – including Yammer (which just acquired oneDrum to compete with Jive), Jabber and a host of unified communications clients from Cisco, Telligent, SocialText, NewsGator as well as entrants from Microsoft, SAP and IBM. These are the shapes that SoMoClo has taken in the enterprise. 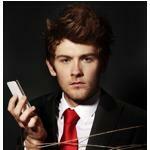 The question: are these enterprise clients really the future of mobile social in the workplace? Or are today’s consumer services now too popular and too pervasive to be supplanted? As we have seen with the Bring Your Own Device revolution, workers do not like having tools they do not like shoved down their throats. To succeed, enterprise clients will have to be as powerful and comfortable as the best consumer services. Check out the infographic and let us know what you think about the future of enterprise social communication in the comments. As any supporter of QR codes, near field communication (NFC) chips, or augmented reality will tell you, the key is the destination, not the mode of transportation. It doesn’t matter if information is delivered with zero friction, if the information itself isn’t wanted, it won’t pay off. 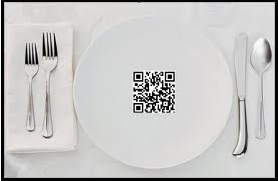 Or prompt a customer to complete a takeout order online, at which point she’ll receive a custom-generated QR code to be scanned at the point-of-sale. 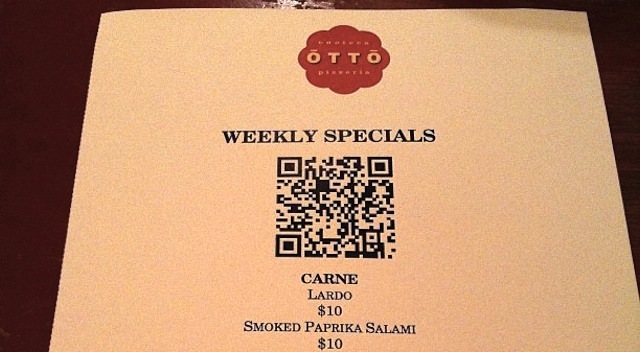 The Melt handles orders by generating QR codes that help consumers skip the ordering line. About 30% of mobile phone users spend an average of about 27 minutes each day text messaging, using the telephone and video chatting, according to retailer CultureLabel.com. The company put together an infographic that highlights the bright outlook for the mobile commerce industry, helped along by the massive growth of smartphone adoption. As CultureLabel looked to expand its own mobile strategy, the company compiled stats to reinforce the need to grow its m-commerce channel. According to its findings displayed in the online art retailer’s infographic, 5.9 billion out of the 7 billion people (87%) worldwide already have mobile phones. Smartphone sales are up 63.1% from 2010, and a whopping 488.5 million devices were sold in 2011. Meanwhile, one in seven searches are made with a mobile device. More people are accessing social networking sites this way too. In fact, Facebook mobile users have quadrupled in two years from 50 million in 2009 to 200 million in 2011. 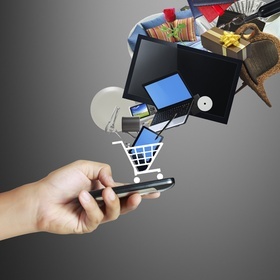 Do you think mobile commerce will every surpass e-commerce? Do you think these channels will ever surpass in-store shopping sales? Let us know in the comments. Social network game developer, Zynga, is rolling out their own version of loyalty marketing, rewarding users for interacting with advertisers in various ways. Zynga, aiming to expand its advertising revenue without annoying users, is quietly experimenting with “reward advertising” on CityVille that lets players earn energy by interacting with a sponsor. Sponsors for the program, which rolled out in December, include Coca-Cola, MasterCard and the DVD release of the 20th Century Fox film What’s Your Number?. 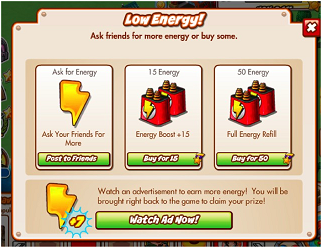 When players got to a point in CityVille where they needed more energy, some had the option of “interacting” with the advertisers in various ways. In the case of the film, players were required to watch the trailer. MasterCard gave users a short survey. The idea of using in-game rewards as a prize for being exposed to advertising isn’t new. Facebook rolled out a program last May that rewarded users with Facebook Credits for watching ads in games from Zynga, among others. The Facebook program appears to have been limited, though. Zynga, which only makes a fraction of its revenue from advertising (most come from purchases of virtual goods), seems to have had more success with reward advertising and is planning to include roll it out to FarmVille and Empire & Allies in coming weeks. 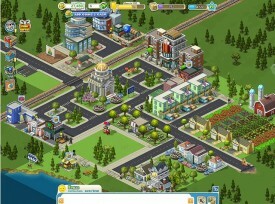 Zynga’s other forms of advertising include banner ads and branded integration. For instance, a June program gave FarmVille players coveted “Double Mastery” points on crops and trees harvested within seven days when they place a Capital One Visigoth statue on their farms.